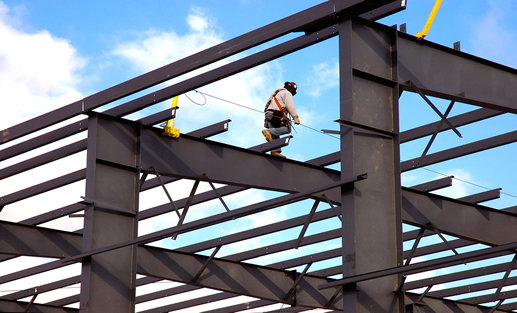 Steel Erectors Receive Pay-As-You-Go Work Comp With PEO Services! PEOs, also known as employee leasing companies, have been reducing business costs for many years. One of the biggest reasons is because they eliminate payroll, paperwork and compliance issues. PEOs allow you to focus on work that makes money, versus work that doesn't. It's cheaper than you can do on your own with great benefits. Obtaining workers' compensation insurance at reasonable rates is one of the biggest challenges for en employer in the structural steel industry. Thankfully, PEO companies can help. These programs improve your cash flow by reducing or eliminating the down payments that are usually required with the purchase of workers' comp insurance. Plus, depending on the size of your business, your premiums may be paid on a pay-as-you-go pay basis. Our team has been in the PEO industry since 2001 and we know the industry top to bottom. We'll be your best resource to provide a company that can best help your unique situation. PEOs are different in their specialties, terms and pricing- and we save you the time and effort required to interview each one. Plus, our negotiation and leverage in the industry ensure you get the BEST pricing.